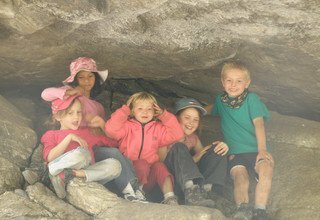 Helambu Circuit Trek with Children is an ideal short trek near the Kathmandu valley which can be enjoyed by the entire family for being a low altitude trek with moderate difficulty. Despite being so close to Kathmandu, the natural beauty and traditional culture of the Helambu region remains unspoiled. 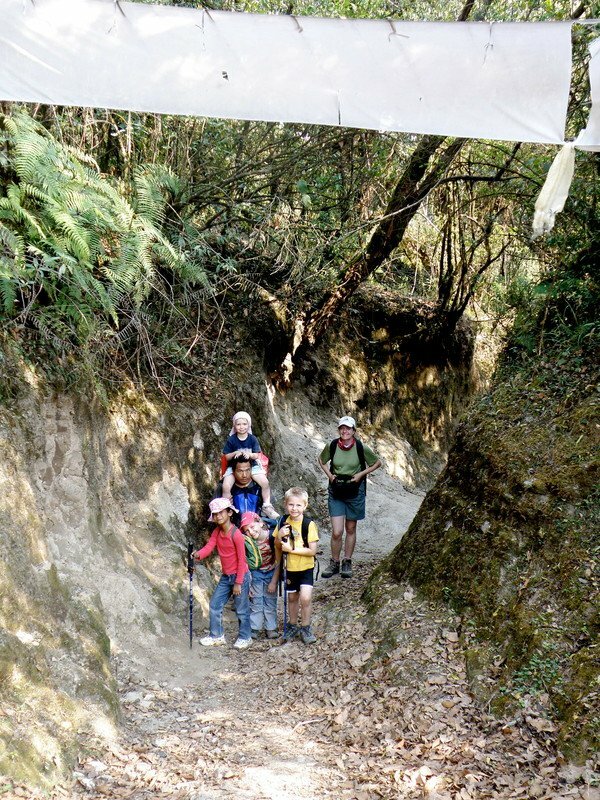 Trekking along the classic Himalayan foothills, you get to explore the Buddhist monasteries and traditional villages of the Hyolmo communities on this trek to Hyolmo land. 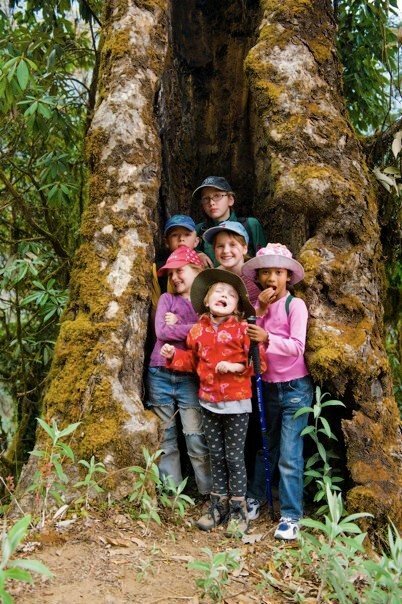 Helambu Circuit Trek with Children starts with your arrival in Tribhuvan International Airport, Kathmandu, after which you drive to Sundarijal and start the trek. 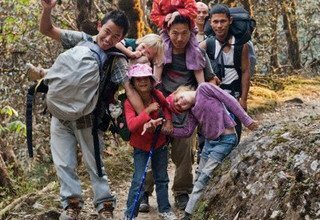 The trek takes you through Shivapuri Nagarjun National Park, a flora and fauna paradise, to reach Chisapani village for a surreal view of the Langtang and Ganesh Himal ranges. 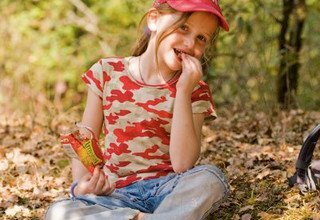 The trail takes through rhododendron and pine forests, waterfalls, and farming lands. En route, you cross many streams and pass through the traditional villages of the Hyolmo people, including Kutumsang, Melamchi Gaon, Tarkeghyang, and Sermathang. There are many Buddhist monasteries on this route, including the centuries-old Gekye Gompa of Tarkeghyang, which provide you an insight of the Tibetan Buddhist culture practiced by the indigenous people. Moreover, you get to be a witness to the simple lifestyle and fascinating culture of the Hyolmo people. 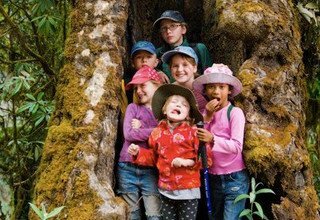 Throughout the trek, your children can mingle with the local children and make new friends in the quaint villages of the Helambu valley. 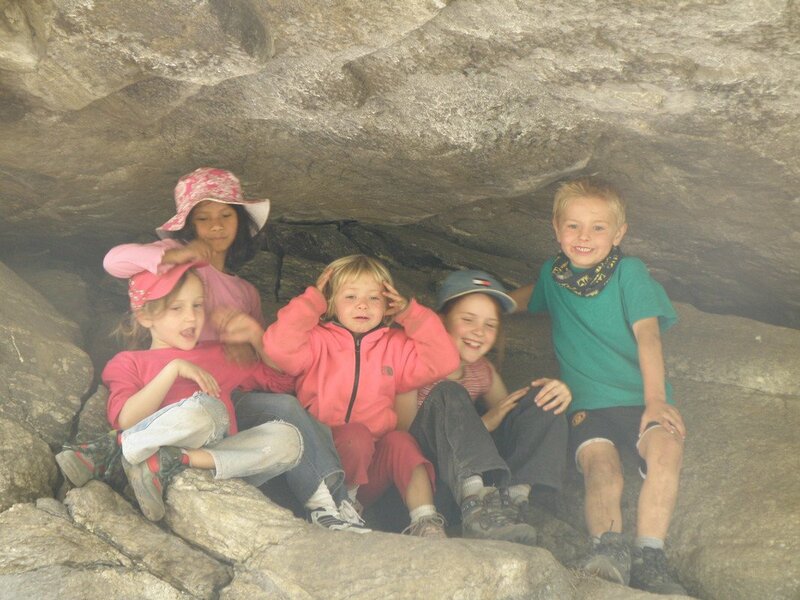 Swiss Family Treks and Expedition has crossed more than 15 years in the field of travel and tourism. 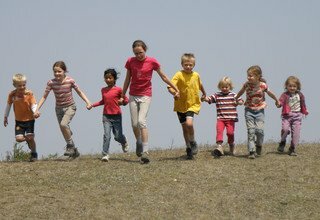 We are well known for our excellent services and wonderful family trek packages. We provide you with the best transportation and accommodation facilities, making sure that everything included in the trek is child-friendly. 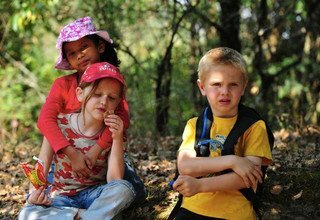 Moreover, we take special care of your children by providing porter assistance and a friendly guide who makes sure the child gets the best out of the trek. Superb views of snow-capped mountains, ancient Buddhist monasteries. The trip begins with your arrival in Kathmandu. Our company representative will welcome you at the airport from where you will be transferred to the hotel for your overnight stay. Today you leave Kathmandu and drive to Sundarijal which takes about one hour. 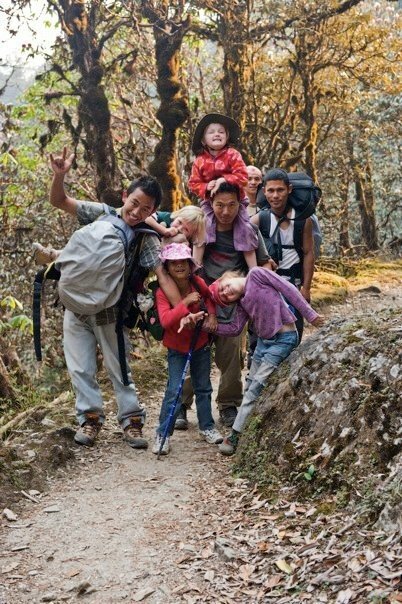 The trek begins from Sundarijal with a gradual uphill climb through Shivapuri Nagarjun National Park. Continue the trek through the forest with various floras enjoying the scenic landscape for a few more hours to reach Chisapani. In Chisapani, you will be greeted by a skyline filled with snow-capped mountains. Overnight at the teahouse. Start the day early to watch the beautiful sunrise over the mountains dominating the Chisapani skyline. Later, descend from Chisapani to Pati Bhanjyang and ascend to Chipling. From here, you make another steep climb on a stone staircase that takes you to Jogini Danda. 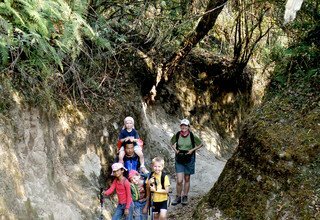 Drop down through the rhododendron forests and continue the trek along the forested ridge before arriving in the Tamang village of Gul Bhanjyang. Overnight at the teahouse. You start climbing along the ridge from Gul Bhanjyang to reach a small pass, from where you head north to arrive in Kutumsang. After a short rest in the Hyolmo village of Kutumsang, you continue to climb on a steep trail through the rhododendron and fir forest to reach Mangengoth. Overnight at the teahouse. Walk through the forests and cross the small streams to reach Thadepati Pass (3690m). An amazing view of the Langtang Himal range, Naya Kanga (5844m), and Dorje Lakpa (6966m) can be seen from the top of the pass. You then head east and the trail drops down rapidly through the pine and rhododendron forest towards Bolgang. 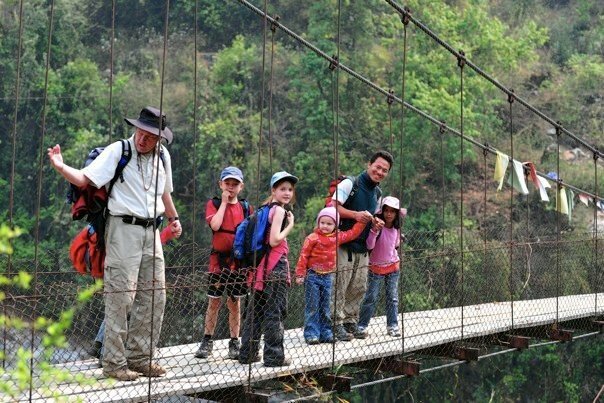 Cross a suspension bridge and make a short climb to reach the Hyolmo village of Melamchi Gaon. Melamchi Gaon has a Tibetan Buddhist monastery with brightly painted walls and statues of Guru Rimpoche. Overnight at the teahouse. 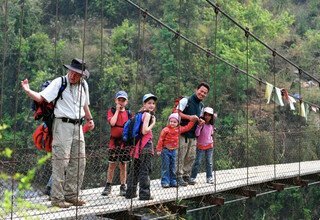 Cross the suspension bridge over Melamchi Khola and begin the climb to Tarkeghyang. En route, you pass through many Sherpa settlements scattered on the hillside. 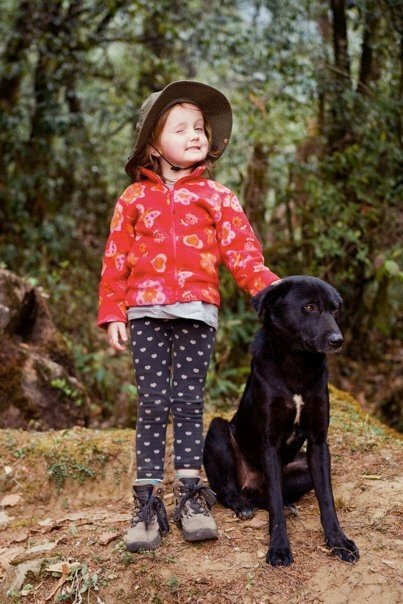 A winding trail through the forest brings you to Tarkehyang, also known as Helambu, which is inhabited by the Hyolmo community. Here, you visit one of the biggest and oldest monasteries of the region, Gekye Gompa, with the backdrop of Dorje Lakpa (6966m) and Naya Kanga (5844m). Overnight at the teahouse. 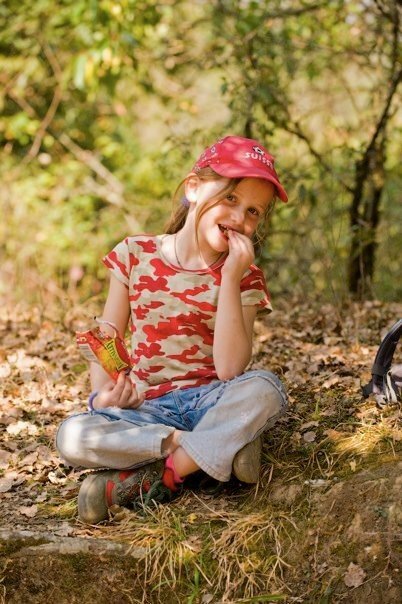 Today’s trek is easy as the trail is flat and passes through beautiful forests. 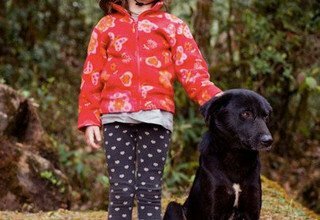 A gentle descent takes you to Sermathang, which is an important apple-growing area in the Helambu region. There is also a Buddhist monastery which dates back to the 18th century. On a bright day, you can get the views of Ganesh Himal (7422m), Langtang Lirung (7227m), Dorje Lakpa (6966m), and Naya Kanga (5844m). Overnight at the teahouse. 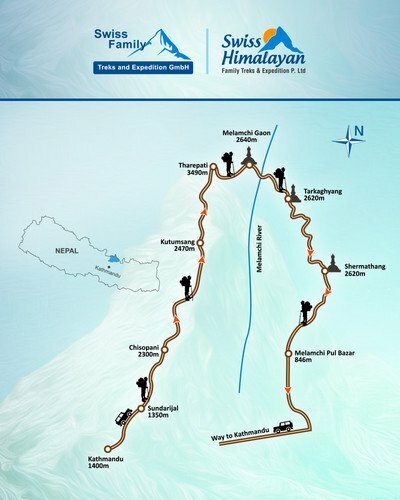 Today is the final day of trekking. You leave Sermathang and head to Kakani passing through several old villages and chair pine forest. The trail is dotted with several monasteries leading your way to Kakani, the last Hyolmo village in this trek. You take the private vehicle and drive back to Kathmandu from Kakani, relishing the countryside view seen throughout the drive. Overnight at a 3-star hotel in Kathmandu. Our company representative will drive you to the airport for your scheduled flight back home. 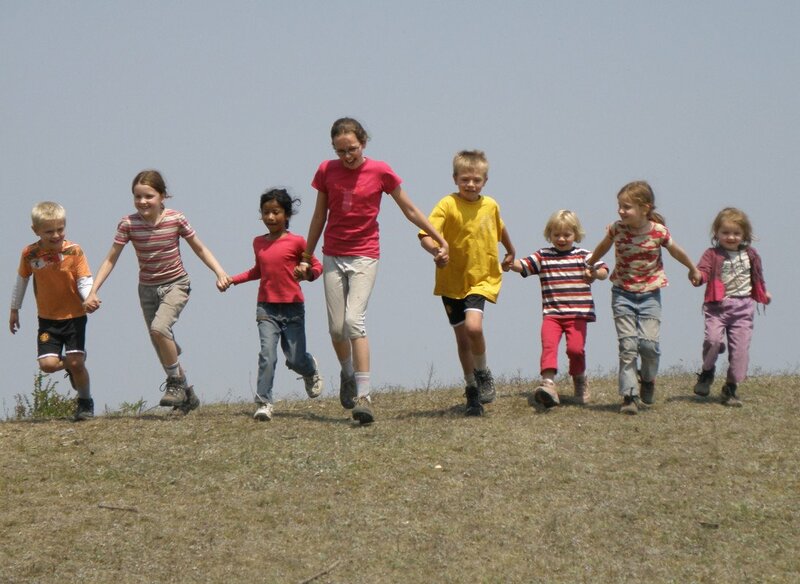 P.S: Depending on the ages of children, they get discount in trek cost and domestic flight ticket cost accordingly. Also Horse renting in Helambu Region is USD 65 per day per horse including horse man, his food, accommodation, salary and insurance. * Shivapuri National Park Permit.